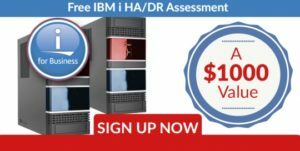 Are you unsure whether your IBM i environment is truly a candidate for an advanced disaster recovery solution like high availability (HA)? If so, how do you then determine whether logical or hardware replication is best for you? 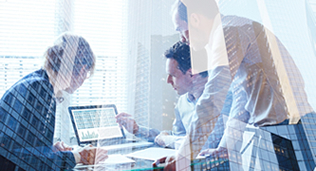 Check out our Free IBM i High Availability and Disaster Recovery Assessment. IT Solutions Group (ITSG) provides a “state of the union” HA/DR assessment of your IBM i environment at no cost to qualified companies. Fill out the form below for a no-cost High Availability/Disaster Recovery Assessment. ITSG will conduct an initial interview with your IT management to determine your business needs and requirements for high availability. As part of this interview, we will determine your company’s data recovery point objective (RPO) and your recovery time objective (RTO). 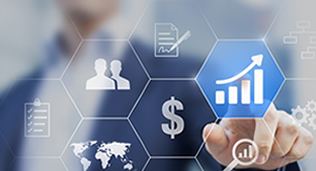 In addition, we will work with your IT staff to review and evaluate the health condition of your IBM i environment in order to determine its subsequent readiness for an HA solution. Once the IBM i system information is collected and assessed by our experts, we will schedule a meeting to present our findings. Based on what we find, and in light of what we learn about your company’s system and data recovery requirements, we will present one or more technology and/or services options for you to consider. If it is determined that a high availability solution is indeed one of these options, we will further run a bandwidth analysis on your environment. Contact us for our no-cost high availability and disaster recovery assessment. Simply fill out the form below or call us at (888) 223-6741.